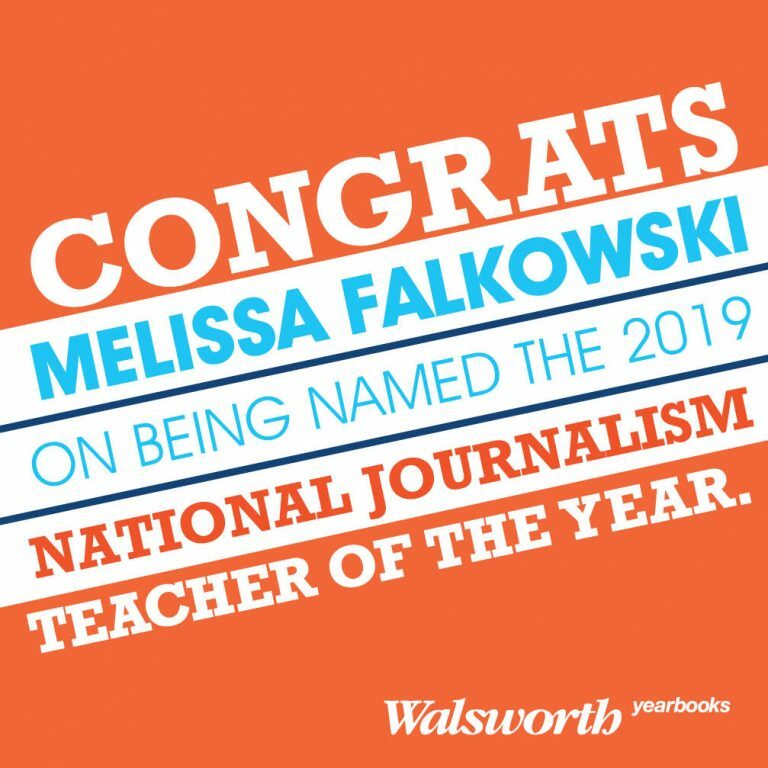 The Columbia Scholastic Press Association (CSPA) announced on Monday that Melissa Falkowski of Marjory Stoneman Douglas High School in Parkland, Florida, had been named the 2019 National High School Journalism Teacher of the Year. Falkowski, the former yearbook adviser who now works as an English teacher and media adviser at Stoneman Douglas, will receive the honor at the upcoming CSPA Spring Convention at Columbia University in New York City on March 21. Stoneman Douglas High School is a Walsworth Yearbooks customer school. Tom Hayes from Ben Davis High School in Indianapolis, also a Walsworth Yearbooks school, was among those named as a Special Recognition adviser. Hayes is an award-winning sports journalist who has taught high school journalism for 14 years. He currently advises newspaper, yearbook and the arts magazine at Ben Davis, and under his guidance the publications have won numerous state and national awards. The National High School Journalism Teacher of the Year Awards program is managed and sponsored by CSPA and co-sponsored by Dow Jones News Fund, with support from the Poynter Institute for Media Studies and The Wall Street Journal.